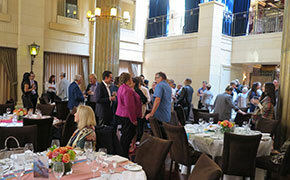 “Once you go, I promise you’ll go back," said Vox International President Susan Webb during a recent luncheon presentation at the Windsor Arms Hotel in downtown Toronto. The topic was Kenya, and the occasion was an opportunity for invited guests including media, tour operators and retail partners to learn about what’s new in the destination and to meet with representatives from the Kenya High Commission, Kenya Tourist Board and Kenya Airways. Although safari travel is at the forefront of why many go to Kenya, one of Webb’s main messages was that there is so much more to see and do. While describing her own personal Kenya experiences, Webb said that as a year-round destination any time is a good time to enjoy hot air ballooning, bird watching, festivals or simply to enjoy the natural coastal beauty. 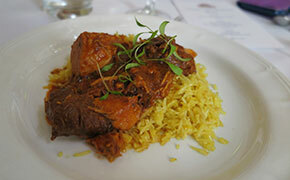 There’s also some intriguing shopping and a fine dining scene that draws inspiration from the diversity of the region. An impressive 43 cultures and tribes contribute to Kenya’s rich melting pot. 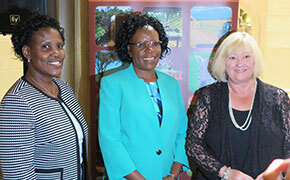 According to Ambassador (Prof) Jane Onsongo, Kenya's Deputy Head of Mission based in Ottawa who spoke at the luncheon, the Kenyan government is focused on promoting the county as a tourist destination and continually working on ways to make it easier for visitors to learn about, travel to and enjoy a memorable stay. 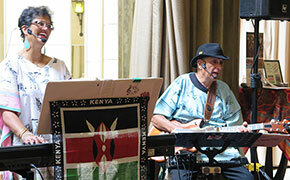 One tactic is the global Magical Kenya campaign initiated by The Kenya Tourist Board. It aims to highlight the nation’s great span of tourist offerings. Another is the ability for those travelling from Canada to apply online for an e-visa. Visas can also be obtained without fuss at port of entry, and for visitors under the age of 16, a visa is not necessary. Air Canada together with Kenya Airways make it an easy journey and facilities at the newly upgraded Terminal 1 at Nairobi International Airport make for a comfortable transition during the arrival and departure process. Onsongo’s main message during her presentation was to let travellers know that Kenya is a safe country and that imposed travel advisories typically do not reflect the true goings on in an area. 15% of Kenya’s budget is designated to security and a TPU (Tourism Police Unit) is present in all tourist areas, hotels and shopping malls around Mombasa and Nairobi to protect and offer guidance to tourists. All of these efforts have proven positive. According to Webb, the latest numbers from 2015/16 report that the country enjoyed a tourism increase of 6.8% and Canada’s own contribution was an impressive 14% growth. Unparalleled wildlife, road improvements, a robust mobile communications system, the return of cruising and familiar international hotel brands are yet more reasons why travellers would love Kenya. And those who have been there are sharing their love worldwide. The #whyilovekenya social media campaign is another government initiative that encourages travellers to post photos of their own experiences. Although this Open Jawer has yet to go, my appetite was stimulated by the meal served at the event. The luncheon menu included some traditional Kenya flavours including a sukuma wiki salad with chapati and a hearty stew served on Kenyan Pilau. For dessert, a crunchy n’dizi (banana covered with peanuts) served on mango ice cream. Delicious!